A Daly City man was arrested last week on suspicion of indecent exposure at a 24-Hour Fitness in Millbrae, according to the San Mateo County Sheriff's Office. Thomas Myint, 49, was arrested late Thursday night after deputies responded to the business at 979 Broadway at about 11:30 p.m. on a report of an indecent exposure involving a 16-year-old male victim and an adult male suspect. 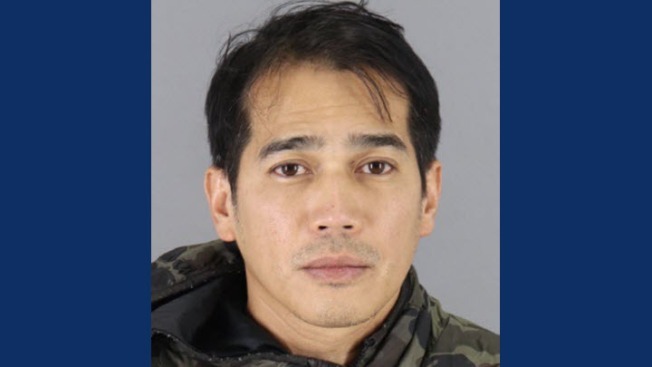 Further investigation determined the victim was at 24 Hour Fitness with a family member, and while he was in the locker room, Myint exposed himself to the victim and began masturbating, sheriff's officials said. The victim notified 24 Hour Fitness staff who then contacted the suspect to make sure he did not leave until deputies arrived, the sheriff's office said. Myint was booked into the Maguire Correctional Facility on charges of indecent exposure and annoying/molesting children, the sheriff's office said. Anyone with information about the crime or the suspect should call the Millbrae Police Bureau at 650-259-2300. Those who wish to remain anonymous can call the San Mateo County Sheriff’s Office Anonymous Tip Line at 1-800-547-2700.